Crafter's Companion Giveaway!!! NO FOOLING!! I wanted to remind you about this fab giveaway going on until the end of the month!! Crafter's Companion USA is celebrating their new information blog in style. Members of their design team are giving away some of their fabulous products to one lucky U.S. resident. Every single blog will be giving away a beautiful stamp set, a package of Rock-a-Blocks and one Permanent Double-Side Adhesive Tape Runner. You can see the picture of the 3 items I have to offer. And my stamp to giveaway is the new S.W.A.L.K. stamp from collection 3, "A Little Kiss". It is so adorable that I kind of hate to have to give it away!! LOL What do you need to do to win all this yummy goodness?? You just need to: 1. Be a follower of Crafter's Companion USA Informational Blog and a follower of my blog. 2. Post or put on your sidebar a picture of one of the Design Team member's giveaway on your blog or Facebook page and link it back to Crafter's Companion USA Informational Blog. 3. Leave a comment on this post with a link to your blog or Facebook post to show that you did these things. After I draw a winner, I will be checking to make sure that the winner followed these directions before posting the winners name. If you did not follow the directions I will pick another winner. You only need to post one design team members giveaway photo on your blog to enter all of the design team members giveaways, when you comment on all design team blogs. So you could have up to 7 chances to win!! You will want to visit every blog and enter all of the giveaways because EACH of the Design Team members will have a DIFFERENT Stamp set to give away! These giveaways will run from Friday, April 1st (no fooling!! ha) until Saturday, April 30th. The winners will be posted on our blogs Thursday, May 5th, as well as on the Crafter's Companion USA Informational Blog. You must be a U.S. Resident to win. 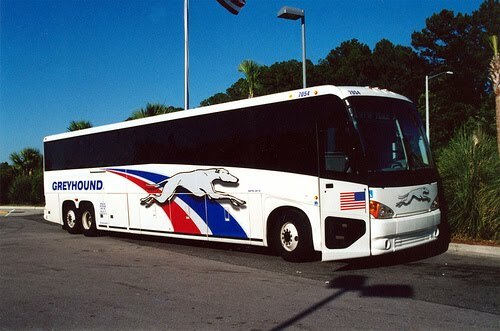 We are off to SeaWorld. Wish us luck!! Lala's World has candy!!! 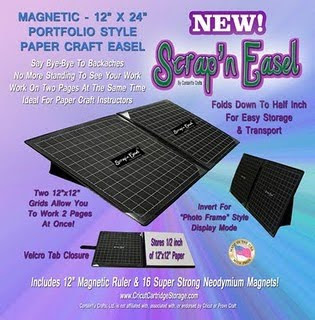 You could win this really cool Scrap'n Easel. Go check it out! I have so many crafty projects due before May 1st! And I am gone or busy Thursday, Friday, Saturday, Sunday and part of Monday!!!!!!!!! GASP! I am going to try to get some scrapping done tonight. My mother in law is here visiting and I think I can talk her into watching the kids so I can get stuff done. I leave for SeaWorld on Thursday morning with my 2 older boys. It is a school field trip and we get to spend the night inside SeaWorld on the floor next to the Shark tank!! I hear it is supposed to be SUPER COLD in there!! 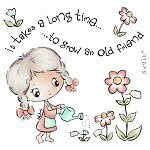 We get back at midnight on Friday and then on Saturday morning my bestie, Denise is flying in with her hubby for the weekend. We have classes scheduled all day on Saturday and then on Sunday we take the Copic Certification Class. Our hubbies will hang out and take care of the kiddos. Should be a great weekend! I CAN"T WAIT! I'm a little annoyed with my son right now. He missed the school bus because he was getting a Popsicle even though the bus driver told him not to get one because she couldn't wait. AND I have no car to go get him right now because my mother in law is taking my other son to the doctor right now! I told him to go to the room where his sister is with her tutor and sit and do his homework quietly. And just now my MIL just called to tell me they were done at the doctor so I have sent her to the school to pick him up. GOOD GRIEF! I am going to show you a couple of pictures from the trip to OK.
Don't you just love it when your kids actually seem like they like each other?? Here is a picture of my 5 year old kissing his little sister. I took 2 of my kids and my mom and sister to get mani/pedi's the first day we were in Oklahoma. My sons LOVE this (weird...I know) and my daughter tolerates it. One son didn't go because he wanted to play football with his uncle...so I took my son, Quinn and daughter, Olivia. And we had the works done! I hope your Easter weekend was a good one. 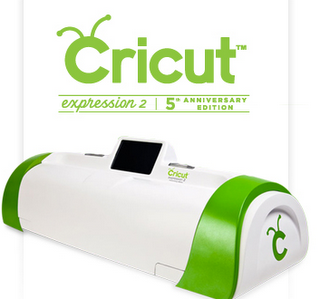 Everyday Cricut is giving away a Cricut Expression 2. Go check it out!! I just found out that my son, Quinn's card that I posted on here this week WON his age group at Sketches4all!! CONGRATULATIONS QUINN!! I bet he gets busy working on his next crafty project!! Don't you think so?? I know how motivated winning a challenge is for me. There was just so much great stuff in that kit that I had to do something special with some of it. I decoupaged several of the fairies. Do you know what decoupage is? It is just basically layering multiple copies of the same image to have depth and dimension. I also used the Fairyopolis paper from my 12x12 paper pad. And used a ton of the rub on fairies and sentiments too. I pulled flowers from my stash and inked the heck out of them because they were a bright orangy-red. I used some brads and stickles from my stash too. We only have a few more days here in Oklahoma. Tomorrow we are having an Easter party/birthday party. My son, Quinn's birthday is coming up and he wanted to celebrate with our family here. So we are going to have the kids color eggs and do egg hunts. I think we will just grill some hamburgers/turkey burgers and have cake and ice cream. Quinn will be excited to open a few presents too. It will be fun to hang out with our families too. Then Sunday the Easter bunny will come and then we will fly out to Nevada in the afternoon. I hope everyone has a blessed weekend! Happy Easter! My Pink Stamper is having an awesome giveaway. She is giving away a Cricuit Expression 2!! GASP!! Go try to win. My kids have been trading off going to the grandparents houses so I actually had 2 days WITHOUT kids!! (never happens!! LOL) I have 3 kids today. The 3 older kids went camping with their uncle at the lake and got home this morning. I took my older daughter and went to get our hair cut this afternoon. After we got done we went to the LSS and got a few goodies to play around with. And then we went to a thrift store and I bought a sewing machine! It is turquoise! I had to buy just for the color!! lol But it works too and was super cheap. I also got some dictionaries and some sheet music at the thrift store. I was so excited to find those things and they were 50% and barely cost anything to begin with. WOO HOO!! The LSS tried to get me to teach some classes but since I don't live here I don't think that will work! ha But it was sweet of her to ask me. We spent the afternoon over at my parents house yesterday with the 2 youngest kids. They were having fun riding around in the wagon with Daddy and Papa pulling. But eventually the men got tired of it and the little ones started pulling each other around. Riley had no problem pulling Georgia around but when he tried to get her to pull he it was a bit more of a problem. He is bigger and heavier than her. It was funny to watch them. So please leave him some bloggy love!! I made the layout for the April Challenge at Scrap Our Stash. The challenge is Bring in the Sunshine and it is still going on over there. You can still enter! It's Wednesday!! I can't believe how fast this week is going. I have been too busy reading and scrapping. oh dear! lol I guess I should motivate. But first I will do this post for you. As I mentioned my dd had a cheer competition last Saturday and I took a ton of pictures so you are getting a second cheer layout. I bought these two sheets of "cheer" paper a while ago and decided to use them on this layout and see what I could come up with. I used the Get Sketchy April 1st sketch by Fia at Sketches4all. I fussy cut one of the pp sheets to do the blocking and to make the banners and embellies. I had the brads, ink and twine in my stash. It came together pretty quickly. She LOVES it!! I entered it in Fia's Challenge and also in Jessica's Earth Challenge at S4A. 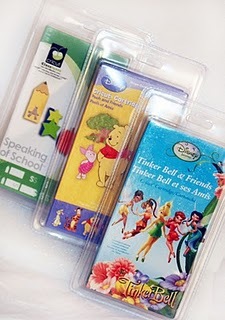 The Mini Card & Tag Contest is still going on at Sketches4all. There is a new challenge posted every day!! Please go check out my card challenge. I stamped these flowers and butterfly and colored them with my Copics. I pulled out some bakers twine I have in my stash. I used some gorgeous paper from My Minds Eye -Summer Song by Zoe Pearn. I just LOVE that paper pack. All the pages are so pretty. I also pulled some adorable butterfly brads from my stash and they just seemed perfect for this card. This came together pretty easy too! I entered it into Erin's Butterfly challenge at Sketches4all too. The next card is the one I made for my Mini Card & Tag Contest challenge project. My challenge is to use pastel pink, green and purple and a cute pagemaps sketch that I picked out. You should come see all the lovely cards made so far! I used gorgeous Crate paper - Katlin Paper. YUM! I also used a Fiscars edge punch, some more bakers twine from my stash, stickles and ink. Don't forget to enter in the Crafter's Companion Blog Candy Giveaway. There is still time to enter. And a ton of prizes you could possibly win! And go check out the Flower Challenge at Crafter's Companion Challenge blog. The prize is so fabulous!! It is a ton of Fairyopolis goodies!! And I can't rave about Fairyopolis enough!! Totally stunning stuff. Okay, I'm off to get a ton of stuff done. Have a great day! Winner of my personal Crafter's Companion Challenge blog giveaway for commenting on my Mini Book is......RAVEN. Raven please email me with your full name and address at scrapwithstacy at gmail dot com You have until April 18th to respond and then I will pick an new winner. Congratulations!! And thank you to everyone who went and commented!! Yesterday I was out of my office all day because my dd had a cheer competition. My hubby stayed home with the 2 little ones and I took the two older boys and my dd to the competition. This was their first competition and they were all very excited and nervous. They did a fabulous job! They didn't win. Another school called Eisenberg won. My poor daughter cried but she was still a good sport and congratulated the other girls. I'm really proud of her. The competition was sooooooo LOUD! Oh my goodness did I have a headache when we left! But I went ahead and took the kid out to eat at Red Robin and then we stopped at The Cupcakery for cupcakes to celebrate. The layout I am talking about is the red, white and blue one. I pretty much like how it turned out. Denise finished hers early. And it is super cute as usual. I will let you go to her blog to check hers out. Next I made a tag for Fia's 1st Tag Challenge at Sketches4all that was posted today. They are having a Mini Card & Tag Contest over there for the next week. (April 10th -April 17th) There will be a new challenge posted everyday. If you enter a creation in all of the challenges you will be entered to win the main prize - a fab Kit! And if you enter 1 or more challenges you will be entered to win a RAK. Each DT is posting a challenge and will offer a RAK on their challenge. It will be fun and easy with lots of chances to win. So go join in. Tomorrow my card challenge will post. Be sure and go check it out. There will be a nice RAK for the winner. Next I was on a roll so I decided to make another layout. I used a fun sketch from Artful Delight that I have been wanting to make something from. I used some paper and embellies I received from Fia at Sketches4all. They are My Minds Eye -Good Day Sunshine. I kind of went crazy with the brads since I was planning to enter it in the Brad Challenge at Frosted Designs. This was such a fun sketch to work with and I think the layout turned out pretty good too. I actually did another layout and I am getting ready to make 2 cards! I will share the other projects with you tomorrow. Thanks for everyone who went and commented!! I enjoyed reading your comments. How was your weekend?? Do anything fun?? Get any scrapping done? I want to let you know that Sketches4all is having a fun Mini Contest! It will start on Sunday, April 10th and end on Sunday, April 17th. If you complete all of the challenges you will get your name in the drawing for a kit! If you complete one challenge or more your name will be added to a drawing for a RAK. Each DT is doing either a card or a tag challenge complete with a RAK!! I will be having a card challenge. So tons of fun and tons of ways to win!! Come join us over at Sketches4all!! Now here are a couple of cards I want to share with you. I made the first one with some scraps from a layout I made. Fairly clean and simple. I stamped out the sentiment and butterfly and then colored them in with my Copics. A little bling...a little Stickles...and voila there you go. The next card is one I made with my S.W.A.L.K. rubber stamp collection 3, A Little Note, stamp set. I decided to make a card with it this time. Remember all that yummy Fairyopolis stuff I got in the mail a couple of days ago?? Well if you paid attention to my pictures you would have seen that I got a 12x12 Fairyopolis paper pad with all of these goodies. I used some paper from the pad on this card. I also used some green paper from my Crafter's Companion mixed card & paper pack - the brights collection. It is hard to appreciate how pretty it is unless you look at it in person. It is shimmery and very lovely. I colored the stamped image with my Copics I added some Stickles and some ribbon from my stash. Just as I finished making it, I dropped my black ink pad face down on the side of the card topper! It made me sick. I had to just walk away for awhile because I was upset. I did eventually come back and take a hard look at it and decided that I should just use a bit of ribbon to hide my mistake! Denise and I are going to do another of our timed challenges on Sunday if anyone is interested in joining us. Anyway, my roses are blooming and they are just so gorgeous!! And they smell divine!! I wish I had smell-o-vision so you could smell them too! LOL But at least you can look at one of them...Enjoy! My dd has a cheer competition tomorrow so I will be there most of the day. Wish us luck!! Misty at Sweet Magnolia Rose is giving away 2 Cricut Cake machines. You don't have long to enter so rush over and check it out. 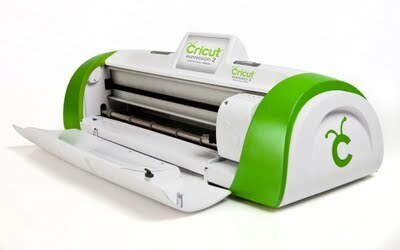 There is an awesome giveaway going on right now at Roberts Crafts.....they are giving away these fab Cricut cartridges! (it is only open to U.S. residents) Go check it out.